There's going to be two posts this weekend! Watch out for the next one later today!!! BUT it is not the same in solution - the fact that the puzzle is bigger in the x & y axes than the z puts it into the floppy category complete with the floppy parity! The craftsman who made mine came from Greece and is a talented modder and also a good solver but he was unable to solve this puzzle and hence sent it to SuperAntonioVivaldi. 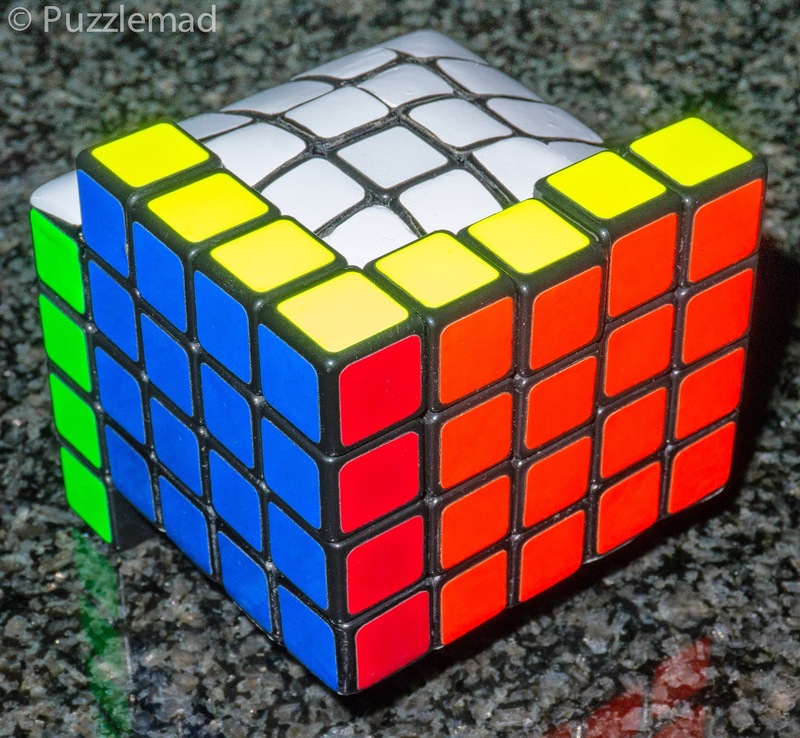 Apparently normal cuboid algorithms are not possible on this puzzle and hence an entirely different technique is required. 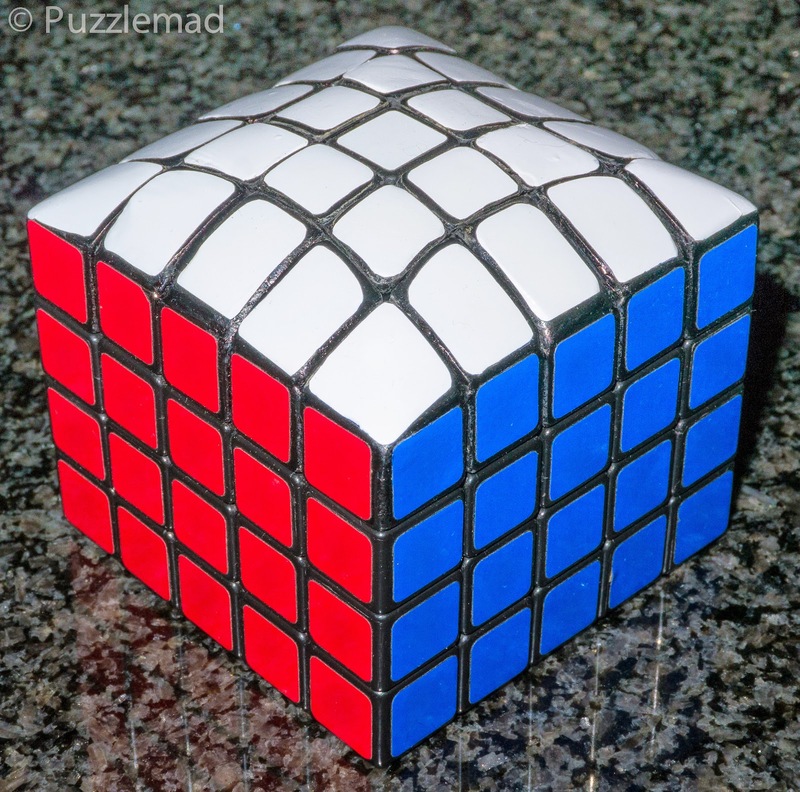 Having watched the beginning of the video, I switched off immediately and contacted Gr_cubed via the Twisty Puzzles forum and asked if he would make one for me too. A couple of weeks later here it is and having not watched the solution online I have finally scraped the courage together to have a go. It requires special techniques to scramble it properly because a single turn of a side face bandages the protruding pieces together with their adjacent piece. Therefore it needs to be turned in certain ways to separate everything. After a good 10 minute scramble we have this monster! HELP!!! Can I solve it? Only SAV has so far! So far I have only had a chance to do a little early experimentation and I have been horrified to see just how blocked the movements are! 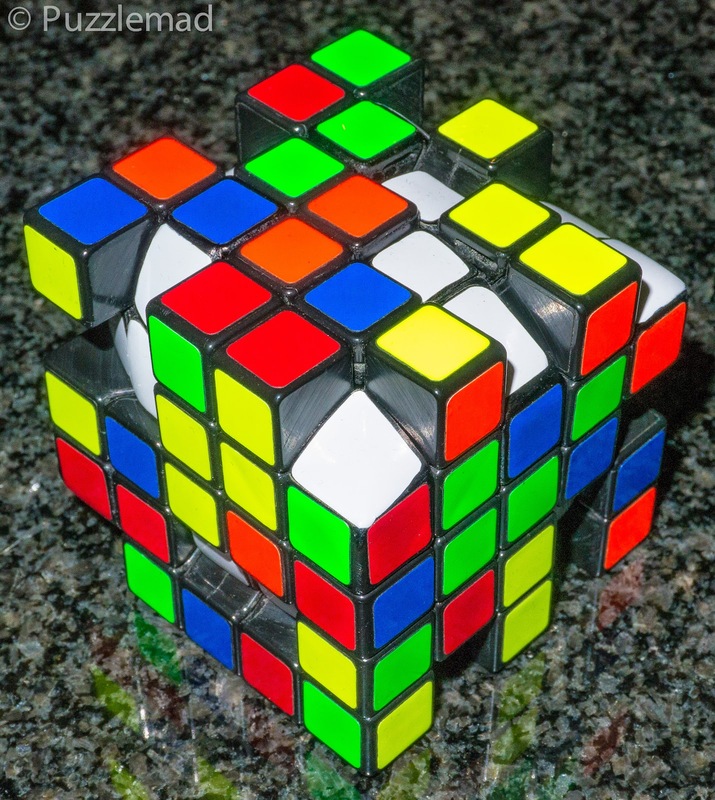 Initial attempts at standard iCube solution methods have failed completely and a quick attempt to solve it like a Floppy cube are proving problematic. I am stumped just now and am currently in deep thought - actually, I decided to write a blog post to give my poor addled little brain a rest! 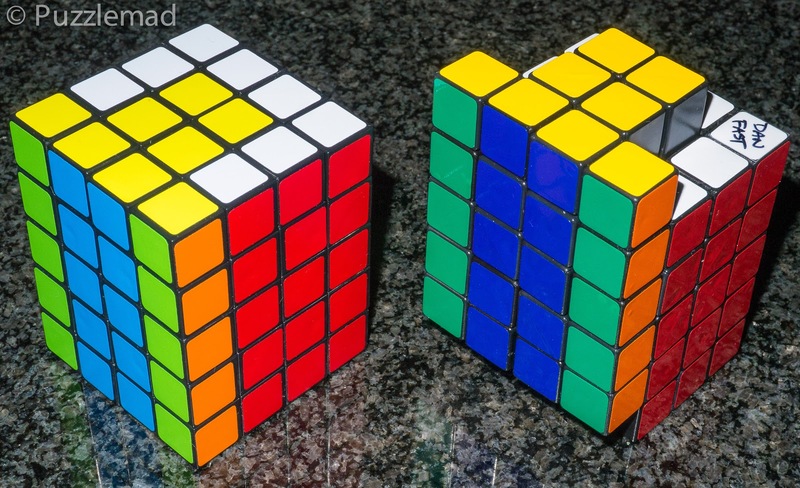 And if that is not too much of a challenge for me he is also making the 5x6x7 icube extreme for me too which of course, is an icube version of one of Ultimate Shapeshifters - Lord Help Me!